The M.O.Information requested the stop. 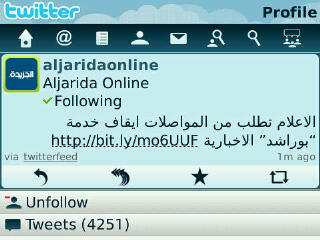 Madri laish, I just read it now belbalad. sorry for multi post happens alot to me these days my mac is getting little GAGA!! Kilshay they block/censor! mo sij… very laughable approach….lakhaf latboog… don’t have anything to hide… let the people talk! in a few years they’ll ask for underwear inspections!